Through the course of our history, archaeologists have come upon a number of valuable archaeological discoveries that helped people to understand the course of human history and have changed the world of archaeology forever. However, there are also many extraordinary and magnificent discoveries made by non-professionals completely by chance. We have compiled a list of six history-making finds uncovered accidentally by people with no prior knowledge or experience in archaeology. 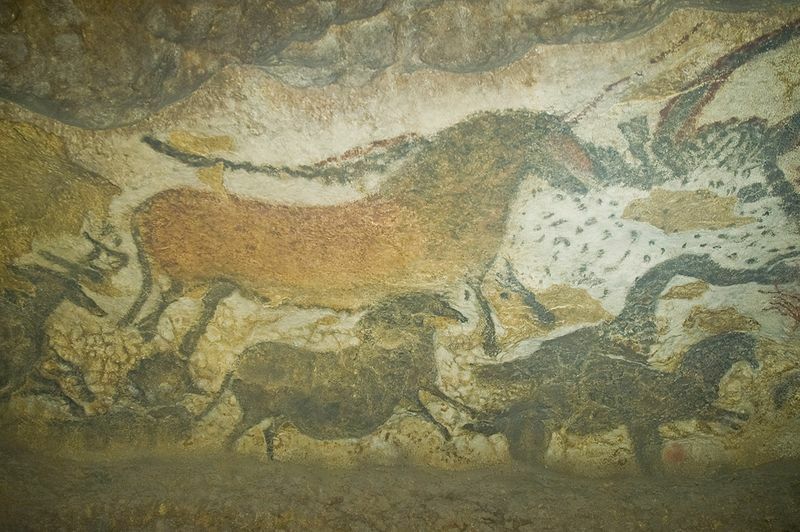 Located in southwestern France, near the village of Montignac in the Dordogne region, Lascaux Cave houses some of the most famous examples of prehistoric cave paintings. 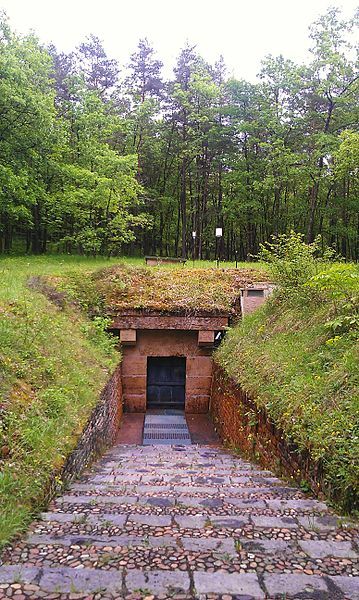 It was September 12, 1940, when 18-year-old apprentice garage mechanic Marcel Ravidat and three of his friends took a walk in the woods near Montignac, France and stumbled upon the entrance to Lascaux Cave. There are a few versions of the story about this extraordinary discovery. According to one of them, Ravidat’s dog, Robot, chased a rabbit into the hole. According to another, he discovered the hole on September 8th and came back together with his friends four days later and explored the cave. Marcel Ravidat was the first to go down the long passageway with his three friends following after him. What they saw inside took their breath away. 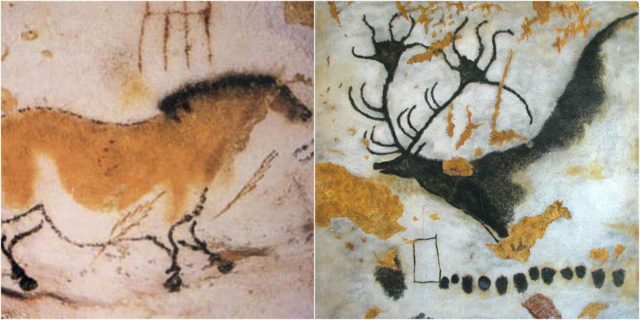 The walls of the cave were painted with beautiful figures of bulls, horses, red deer, stags, felines and mythical creatures. Marcel and his friends decided to tell their schoolteacher, Leon Laval, about what they discovered in the cave. Laval contacted an eminent prehistorian to verify its authenticity. In 1948 the cave was opened to the public, and thousands of people from Europe and the rest of the world came to see the beautiful paintings. The Terracotta Army at Xian, in China, was discovered by accident back in 1974, when local farmers decided to dig a well on their communal farm in Yang village, and they found a life-size terracotta soldier. Soon, Chinese authorities were informed about this magnificent discovery, and archaeologists were sent to start the excavations. 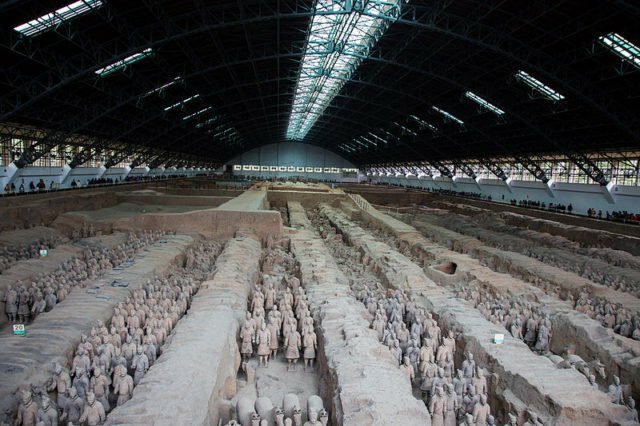 Apparently, there were nearly 8,000 terracotta foot soldiers, archers, and charioteers. What these local farmers accidentally discovered dates to around 210 B.C. 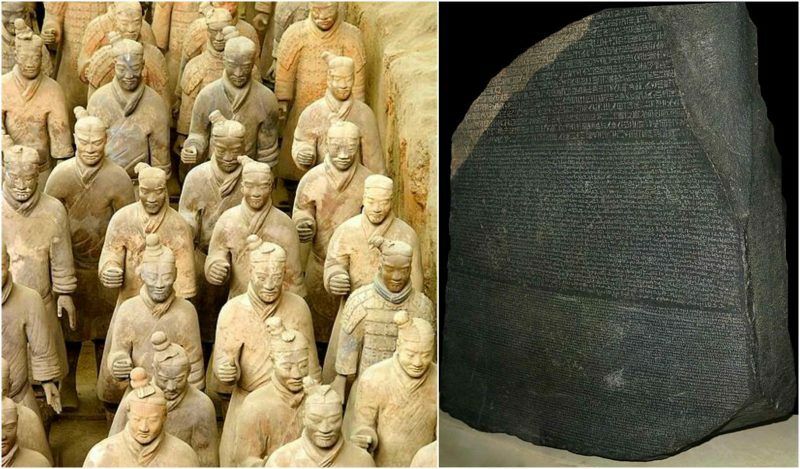 The 8,000 terracotta foot soldiers, archers, and charioteers had been buried with Qin Shihuangdi, the very first emperor of China. 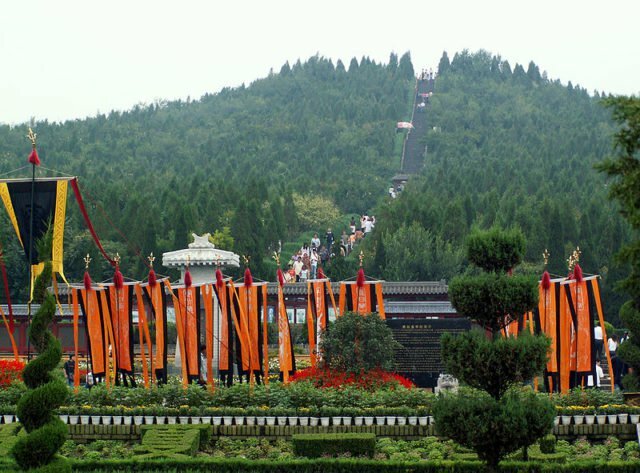 He became the first emperor of China when he united the provinces of China and established the capital at Xianyang. Known for his brutality, Emperor Qin would kill anyone who didn’t agree with him, but he is also known for many great accomplishments including standardizing the system of units and measures used in the country, the extensive system of roads and canals he built throughout China and, of course, for building of the Great Wall of China. This amazing discovery is today one of the top attractions in China. The Terracotta Army is one of the greatest archeological discoveries in the world and attracts visitors from all over the world. 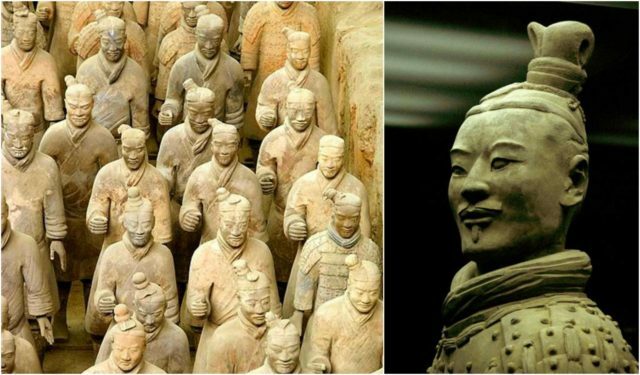 Former French Prime Minister Chirac praised the Terracotta Army as the Eighth Wonder of the World. This ancient sculpture of Aphrodite that is today known as the Venus de Milo is one of the better-known examples of ancient Greek sculpture and it is considered by many as the most beautiful in the world. This fascinating sculpture was accidentally discovered by a peasant named Yorgos Kentrotas on 8 April 1820, on the island of Melos, in the Aegean, which was then a part of the Ottoman Empire. Yorgos discovered the sculpture while he was removing stones from an ancient wall. When two French naval officers, Olivier Voutier and Dumont d’Urville, saw the fragments they realized how important this discovery might be and immediately asked the French Ambassador to try and purchase it from Turkey. 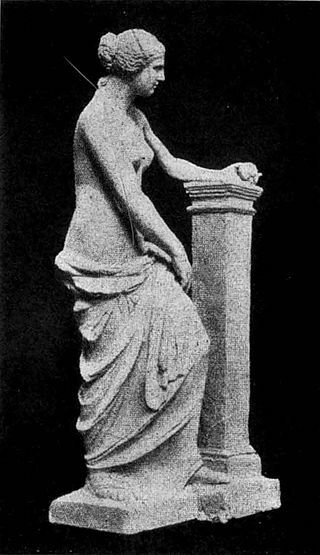 The Turkish government accepted the offer, and the statue was taken to France by boat. Soon after, it was repaired, in 1821, and the statue was offered to Louis the XVIII who placed it in the Louvre Museum in Paris where it can still be seen. This ancient multi-level underground city was discovered in 1963 when a man in the Nevşehir Province of Turkey’s Central Anatolia region, in the historical area of Cappadocia, knocked down a wall while renovating his home. He stumbled across a secret room and soon discovered a stone passageway that led to an underground network. 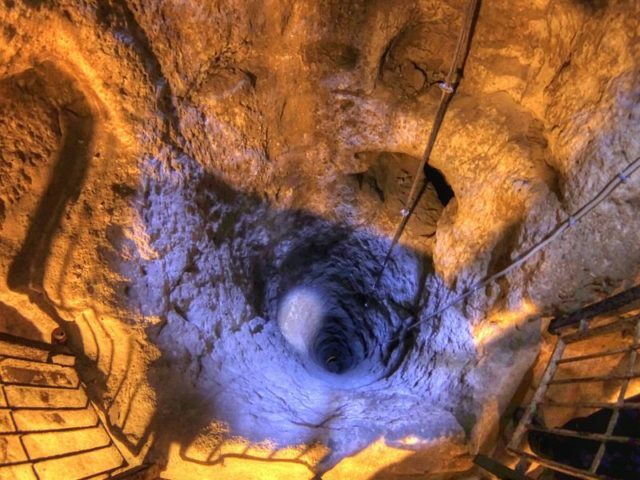 What this man had actually discovered was the ancient Derinkuyu underground city in Turkey. It is believed that this magnificent underground city was first built in the soft volcanic rock of the Cappadocia region in the 8th – 7th centuries B.C. by the Phrygians. 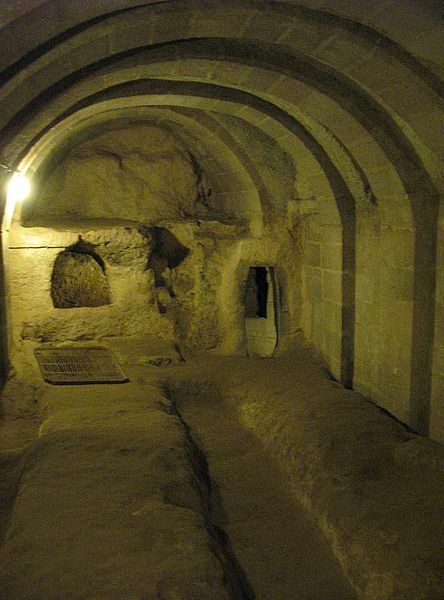 Derinkuyu underground city was expanded during the Byzantine era in 780-1180 AD. No one knows for sure what its original purpose was, but it was most likely built to protect its residents from invaders or natural disaster. This 18-storey underground city was large enough to shelter around 20,000 people and had areas for sleeping, stables, wells, kitchens, ventilation shafts, tombs, communal rooms, bathrooms, schools and also had access to fresh flowing water. Its complex security system consists of gigantic rolling stone doors that could close from the inside, preventing intruders from entering. 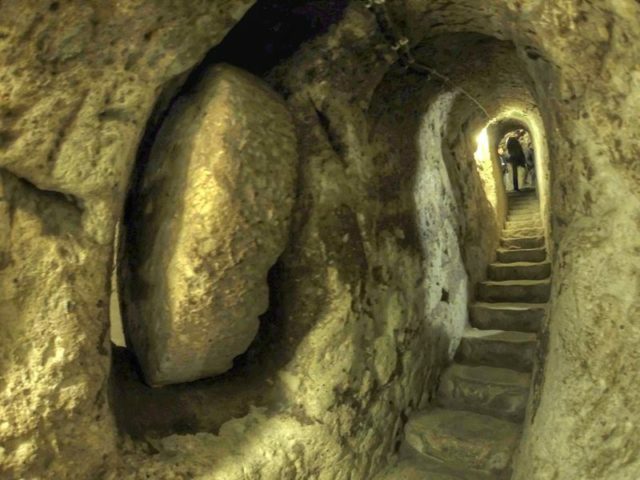 The city was connected to other underground cities by tunnels that can stretch for miles. Derinkuyu was officially opened to the public in 1965, and since then it became one of the most popular tourist attractions in Turkey. Millions of visitors each year come to see one of the most important objects in the British Museum – The Rosetta Stone. 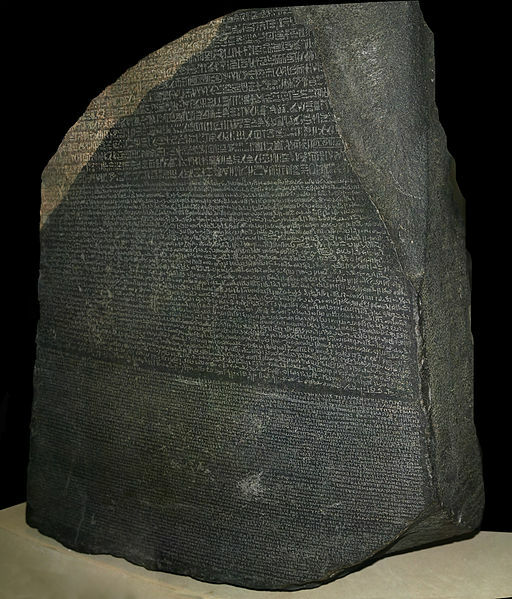 Considered by many as one of the most important archaeological artifacts in the world today, the Rosetta Stone holds the key to understanding Egyptian hieroglyphs. The stone was discovered at Port Saint Julien, el-Rashid (Rosetta), a small city outside Alexandria, in July 1799, by Pierre Francois-Xavier Bouchard, an engineer, and officer in Napoleon’s Egyptian army. Reportedly, the stone was part of an old wall which was being demolished as part of the construction work on Fort Julien. Bouchard, who was in charge of the demolition, immediately realized that the stone might hold the key to deciphering hieroglyphics. 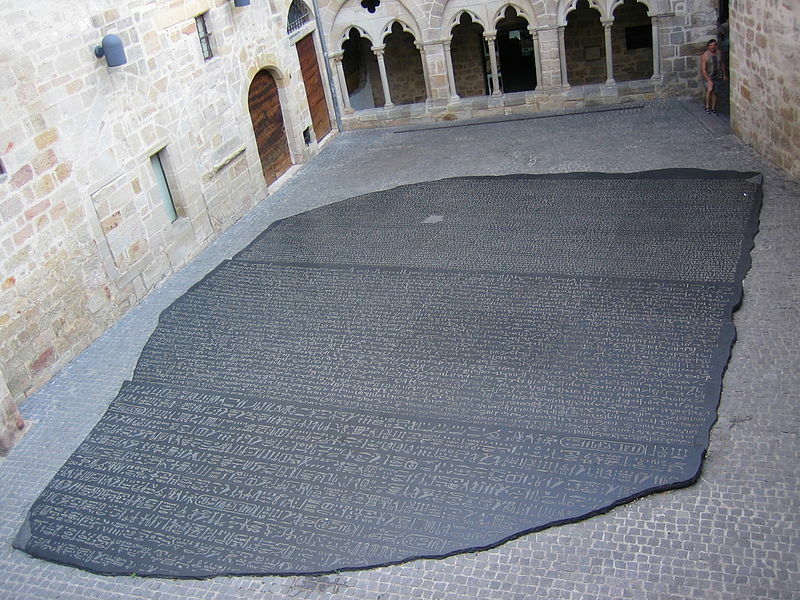 The Rosetta Stone weighs 762kg (1680 pounds), and is 114.4 cm (3’9″) in height, 72.3 cm ( 2’4-1/2″) in length, and 27.9 cm (11″) in width. The text on the stone is composed of a hieroglyphic text of 14 lines (suitable for a priestly decree), a demotic text of 32 lines (the native script used for daily purposes), and Greek text of 54 lines (the language of the administration). When the French lost the war, the Rosetta Stone was handed to the British Army who sent the Stone to the British Museum. In 1820 Thomas Young (a British linguist and physicist) and Jean-François Champollion (a French linguist and historian) finally deciphered the Demotic script and Egyptian hieroglyphics by comparing them to the known Greek text. Their work established the basis for the translation of all Egyptian hieroglyphic texts. The text was inscribed by priests honoring the king of Egypt, Ptolemy V, one year after his coronation. Known as the greatest manuscript find of all time, the Dead Sea Scrolls were accidentally discovered in 1947 in Qumran, a village situated about twenty miles east of Jerusalem on the northwest shore of the Dead Sea, by a young Bedouin shepherd in Israel’s Judean Desert. He was searching for a stray goat in the desert when he entered a long-untouched cave and found jars filled with ancient papyrus scrolls. This young shepherd was unaware that the scrolls were nearly twenty centuries old and that he was part of one of the greatest archaeological discoveries of the twentieth century: the first seven manuscripts of the Dead Sea Scrolls. He sold them to a Bethlehem antiquities dealer for less than $50, not knowing that they would later sell for millions. 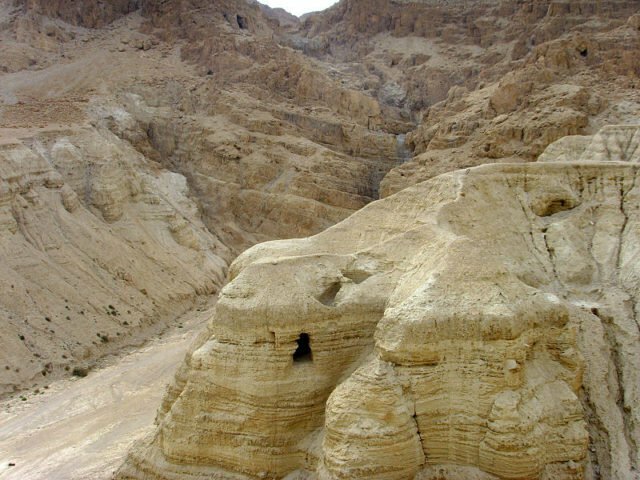 It would take two more years for the site of the find to be identified as the cave now known as Qumran Cave 1. After that, further explorations and excavations were made in the area of Khirbet Qumran. In the period between 1949 and 1956 ten additional caves were found in the hills around Qumran and some 981 different texts containing Biblical and apocryphal works, prayers and legal texts and sectarian documents of great historical, religious, and linguistic significance written in Hebrew, Aramaic, and Greek were discovered. The scrolls also contain the earliest existing biblical commentary, on the Book of Habakkuk, and many other writings, among them religious works pertaining to Jewish sects of the time.